When some of the members of my patchwork guild went away on a weekend Retreat recently, I was interested to see what work the ‘hand sewers’ would take to do. We have a group of ladies who bring their sewing machines and work hard all weekend producing new patchwork tops or complete their ufos. The ladies who bring hand sewing also work hard, but more slowly and peacefully (piecefully?!!) on their work. Some brought hand piecing to do, others hand quilted while some embroidered. 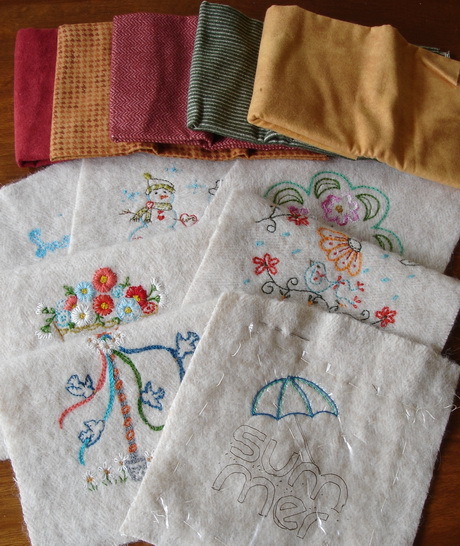 Jeanette started an embroidery a few Retreats ago, but this year she brought it finished for “show and tell” . I thought it was just beautiful and asked if I could blog about it. The pattern is from Mrs Sew and Sew and is called “Red Design”. 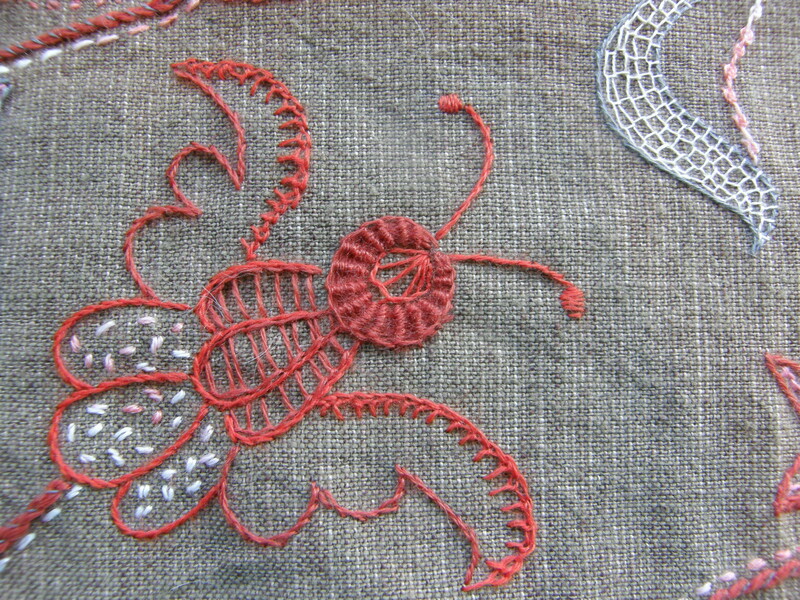 The original is red embroidery on a white background, but Jeanette has changed the colours and used an unusual linen fabric as her background fabric. 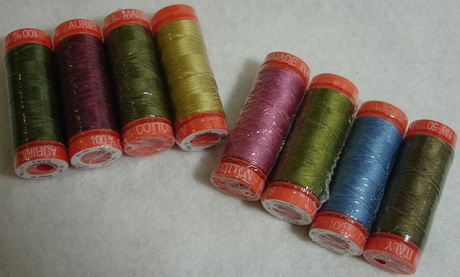 She has used Aurifil Lana threads – including a couple of variegated ones. 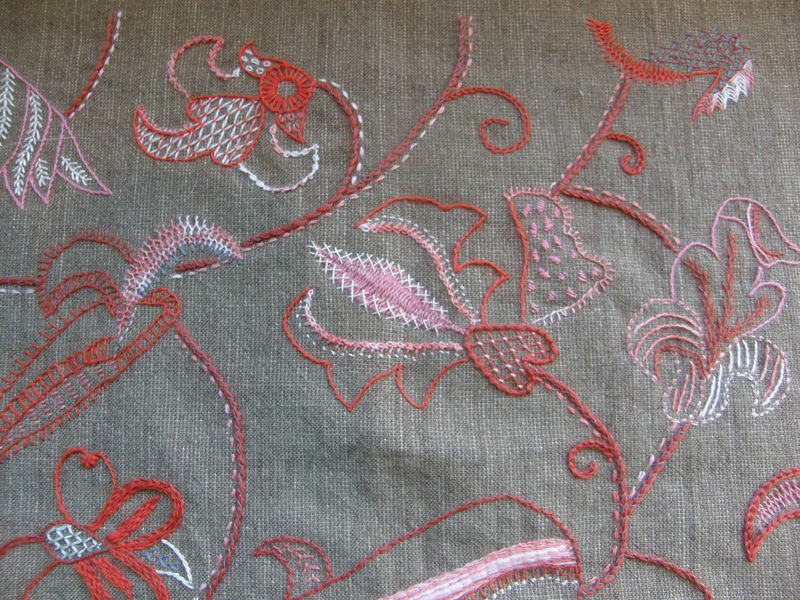 There are many different stitches on the embroidery – not just your ‘standard’ stem stitch or back stitch. 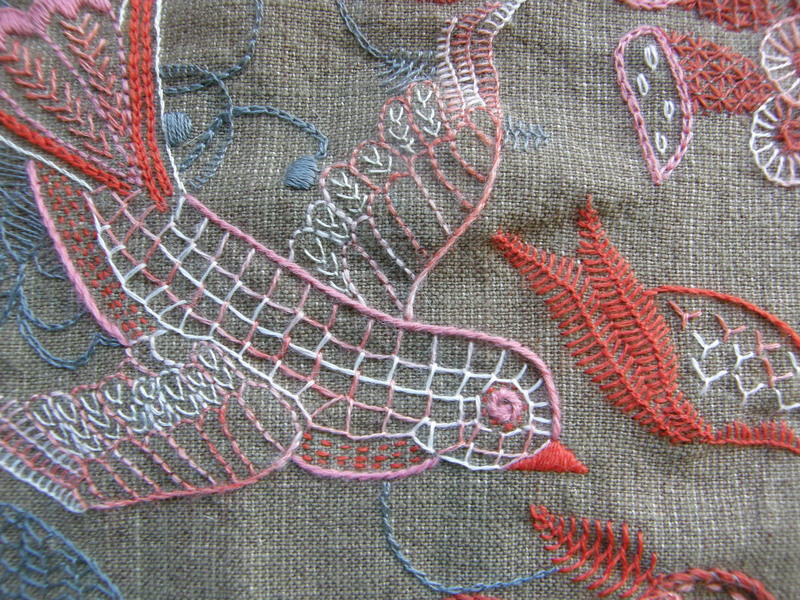 I am hoping some other embroiderers may choose to use Lana in their hand work as it works so well and the range of colours is extensive. A couple of years ago I purchased 2 patterns from Carol Roberts of Cherry Pie Designs. http://www.cherrypiedesigns.com One of them is “Paris”, a cushion pattern which I made earlier this year and blogged about http://alwaysquilting.wordpress.com/2012/03/02/dressed-at-last. 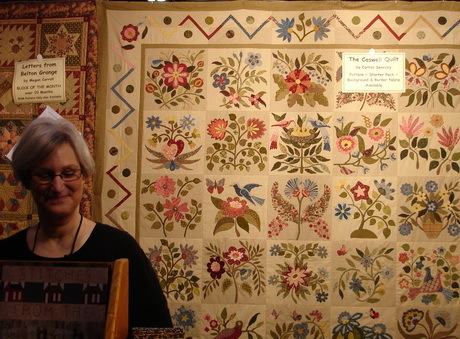 The other is “Louisa”, a lovely applique quilt. It has taken me some time to work out what fabrics I want to use, but finally I found some reproduction fabrics and so I set about preparing for action. 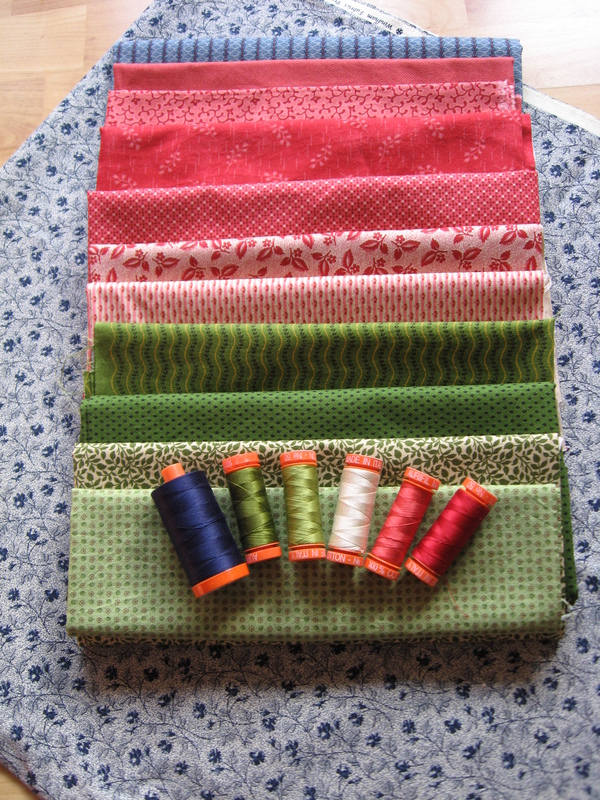 Getting ready for action: my “delicious” fabrics and matching Aurifil 50 weight threads. 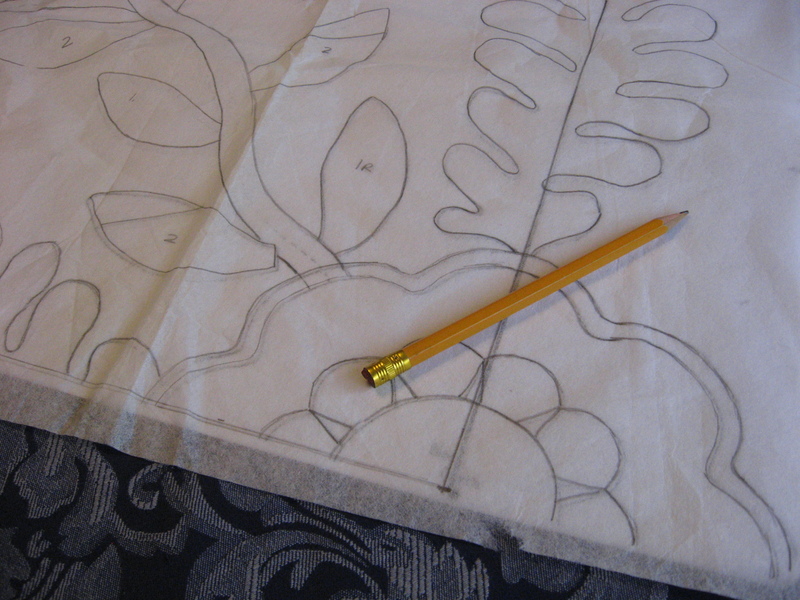 The pattern requires that several sections be cut and joined together before marking on the fabric. 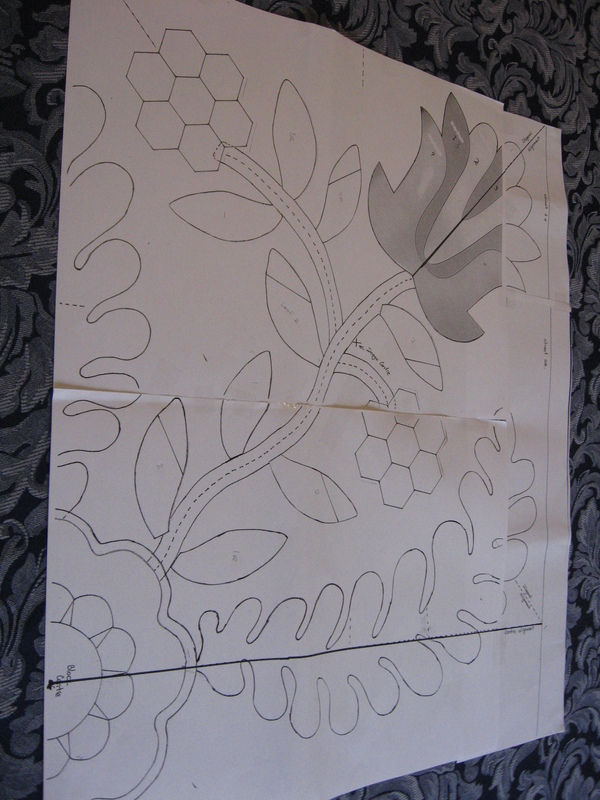 I like to make a photocopy of the pattern pieces that I plan to cut, so that my original is always intact and “safe”. Piecing the photocopied pattern sections together. 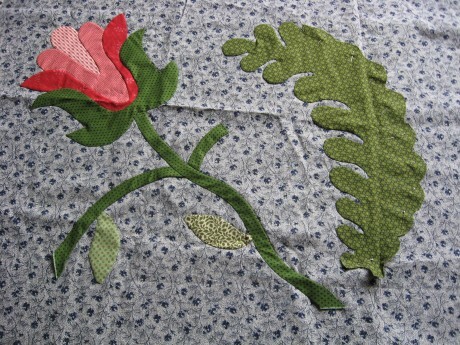 The centre background panel of this quilt is cut 110cm by the width of the fabric, so is quite a big piece of fabric with which to applique and thus brings its own challenges. 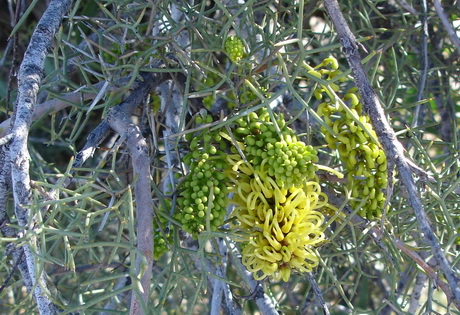 As you can see, the centre is marked out in quarters. However, when I came to transfer the pattern using my lightbox, I discovered that not only was I struggling to see the design through the background fabric, but the little bit I did manage to mark was difficult to pick up, despite trying a variety of marking tools. This dilemma caused for some brow-furrowing moments, until I remembered the technique of using a design overlay. 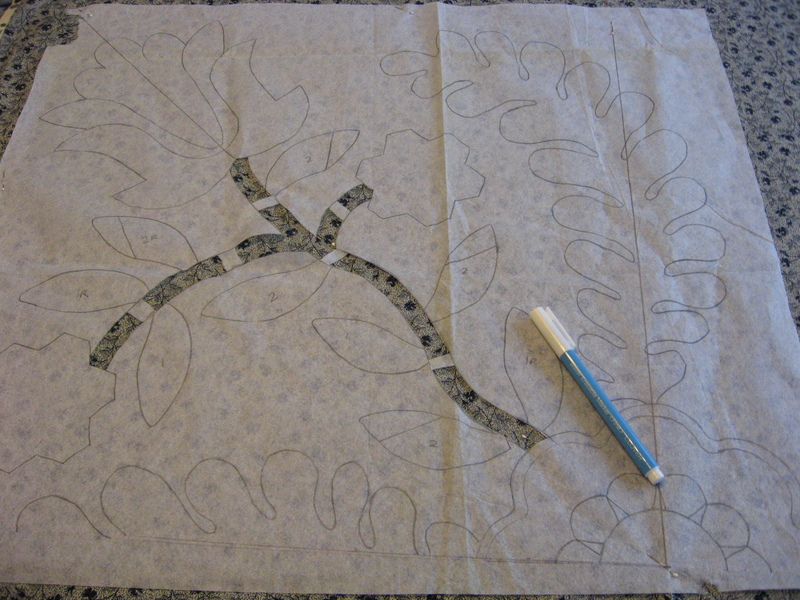 Using this method, you position and pin your applique pieces directly onto the background fabric, without having to use a marking tool to “draw” on the fabric. As you will see if you look at this link, they advise the use of a piece of clear vinyl to make the overlay, but I did not have any on hand at the time, so I used a piece of very fine non-adhesive Vilene. I realised as I went on that this has the advantage of being able to be pinned more easily in place, whereas the vinyl can tend to slip on the background fabric. I used a lead pencil to mark the design onto the Vilene. Marking the design onto the Vilene overlay. 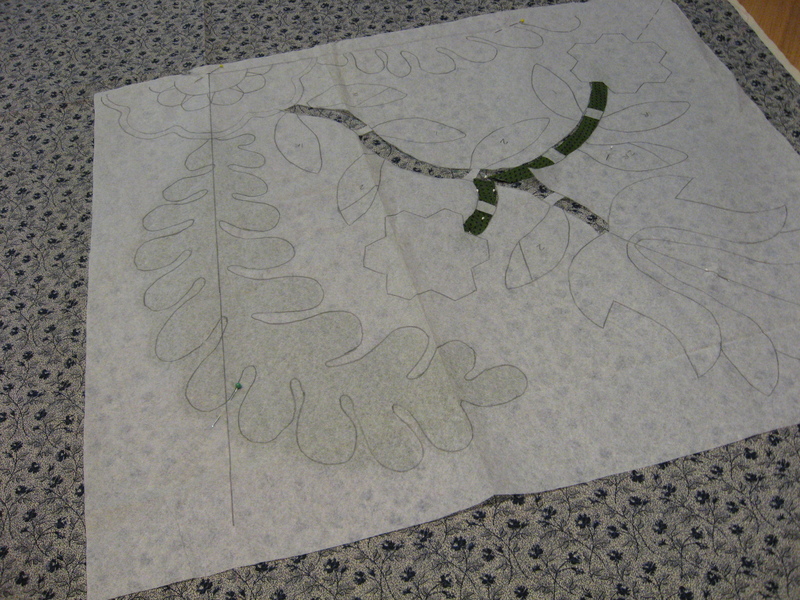 Once the design is marked on the overlay, it is ready to be positioned over the background fabric. I found it helpful to carefully fold the background fabric in half in each direction and lightly crease it, then run a tacking stitch along the crease in a contrasting thread, so that I have an accurate centre mark. This is valuable as a reference point each time you position the overlay. Because the design I am using has bias stems, I also found it helpful to cut out “windows” where the stems will lie. To prevent undue distortion and movement of the overlay, I left a few “bridges” in the windows. Cut out windows for the placement of bias stems leaving some bridges. With the overlay accurately in place, (pinned if necessary), you then gently slide the applique piece you are about to sew, between the overlay and the background. When you are happy with its placement you can secure its position with small applique pins. For bias stems, I add these through the windows so that I can curve them into place as required, trying to afix the inside (short) curve first and then slightly stretching the outside curve. Positioning the stems through the windows. So far this method of transferring the design is working very well. And in case you are wondering what the centre looks like, this is the progress to date. 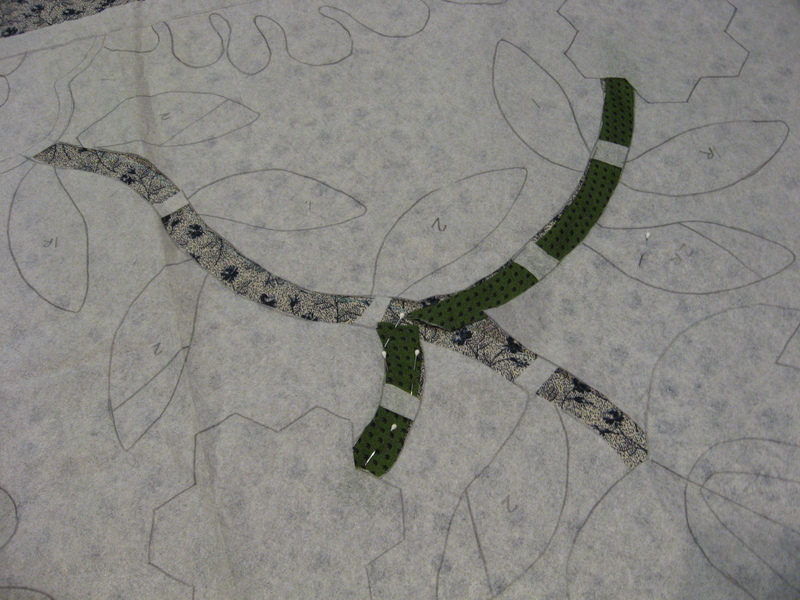 The centre panel so far…lots of sewing ahead of me!! This project will keep me happily sewing for some time and maybe a future blog will show you more progress. In the meantime, I hope these design transferring tips prove helpful for you. 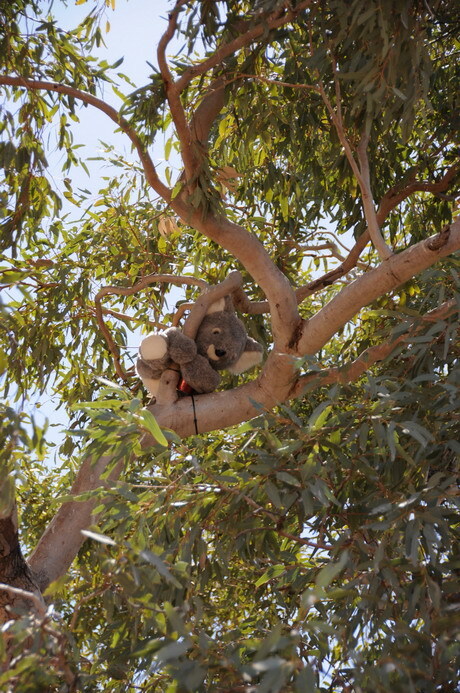 I promised to write more about our outback great escape from work holiday and I’ve been keeping this story for Tuesday Treats. 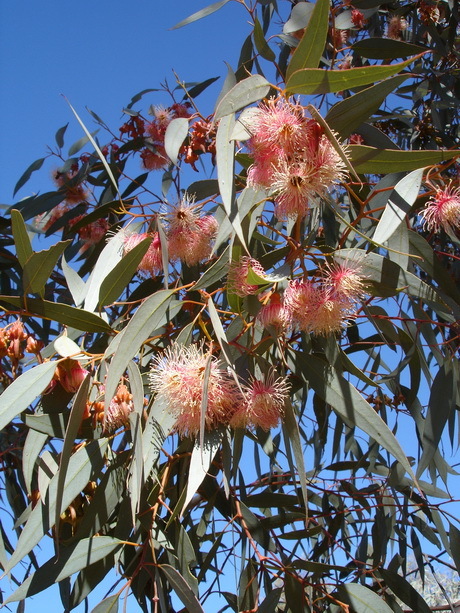 Many of the 705 photos that I took were of the plants that we saw on our holiday, and I was especially taken with the trees that were in flower. 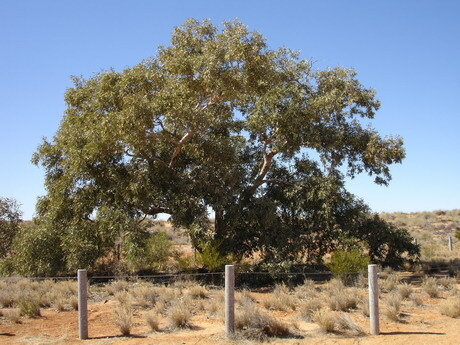 This Coolibah, known to travellers as the “Lone Gum tree” , was one of the “points of interest” in the middle of the Simpson Desert. 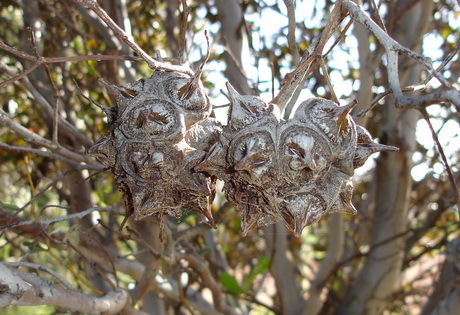 Hidden treasures can be found amongst the thorny leaves on desert trees. But the most amazing, and truly textile related, photo is not one that I took. 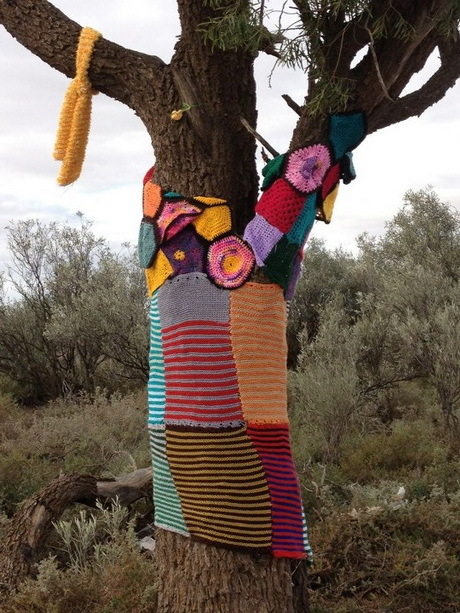 We zoomed past this yarn bombed gum tree on the Stuart Highway. It was the last day of the holiday and the driver was in homeward bound mode, determined to complete the last 730km of our trip to reach home that evening. This surprising image is probably only truly appreciated by people who have travelled through country Australia and can appreciate the distances between towns. 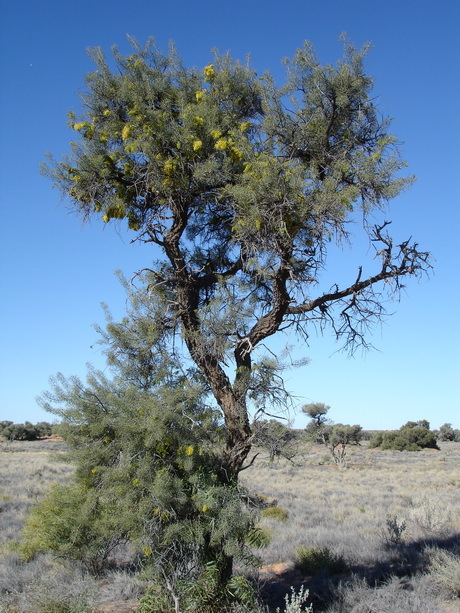 It was literally in the “middle of nowhere”, 44 kilometres from the nearest town to the west and 100 kilometres from the nearest town to the east. You really do find textile treats in the most amazing places. 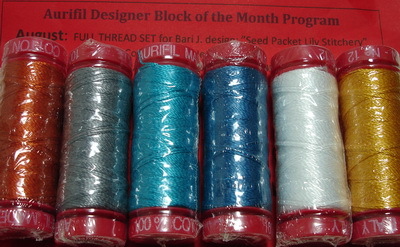 Are you keeping up to date with the Aurifil embroidery Block of the Month? I was zooming along, finishing each block before the end of the month until …. July. I don’t know what happened to make me slip behind except that it was a busy month both at work and at home so, as you can see in the photo above, Sarah Fielke’s “Summer Colours” block is still only partly stitched. Then of course I couldn’t take a project with a white background fabric on our desert camping trip in August … all that red dust would not have been good for my embroidery … it was bad enough on my “going bush” clothes. So not only did I not get the July block finished in July, I didn’t even start this pretty August block designed by Bari J.
Fortunately, this block uses Cotton Mako’ 12 thread colours that have already been used in some of the previous blocks, so all I have to do is trace the design and I will be ready to stitch. This full thread set is only required if you have not collected the threads for the earlier blocks as they have all been used at least once before in the project. But to add to the back log it is now September (how did that happen, where did the time go?) and Amy Ellis’s block was released this week. 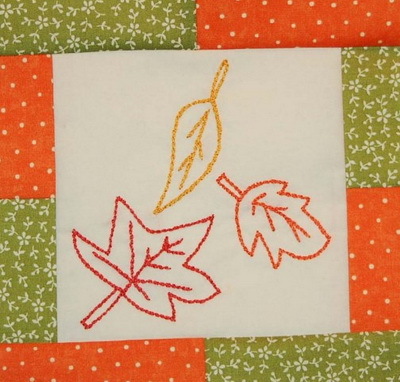 Even though it feels a little odd to be stitching autumn leaves in spring, in Australia, I do love the colour and simplicity of this design. 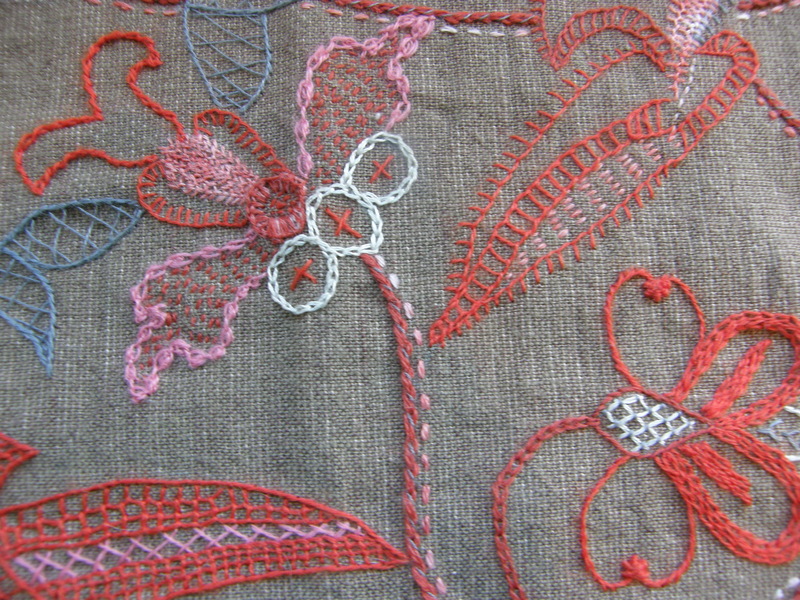 Although Amy has used three thread colours in her embroidery, only two are new to the project. 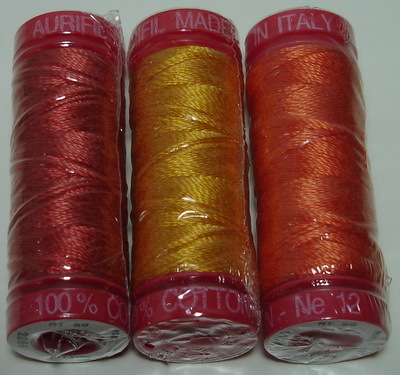 If you are collecting the threads from our online store you will note that we have both full thread, & incremental thread, sets available for sale so that you only need to purchase the threads that you have not already collected. You may have noticed that I have not been adding the sashes to my blocks. I am saving this to do when all the embroideries are finished because I am actually working my embroideries on a wool background (with Lana thread). I’ve been collecting felted wools and flannels to use for the setting of the blocks, and I am still looking for some suitable blues & greens to add to the fabrics I’ve collected so far. This week I am featuring another popular Australian designer. Threadbear, in Castlemaine, specialises in beautiful, detailed, applique quilts using reproduction fabrics and Corliss, the owner, has recently released a new pattern. This stunning quilt was inspired by the famous Caswell Carpet which resides in the Metropolitan Museum of Art in New York. 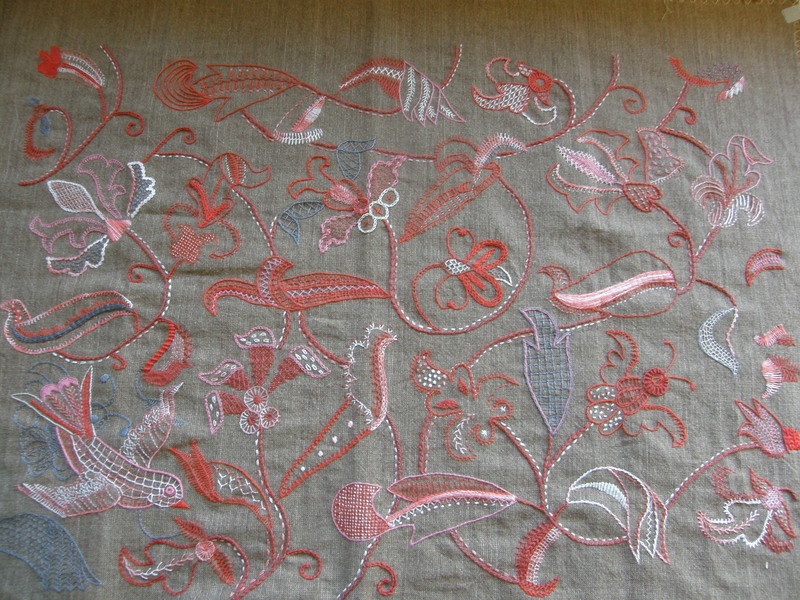 It consists of 30 appliquéd blocks of flowers & leaves, birds & butterflies. The pattern includes full size blocks and individual colour photos of all blocks. Threadbear stocks Aurifil threads, so we were very pleased to be asked to pack special thread sets of Cotton Mako’ 50 for this new design. 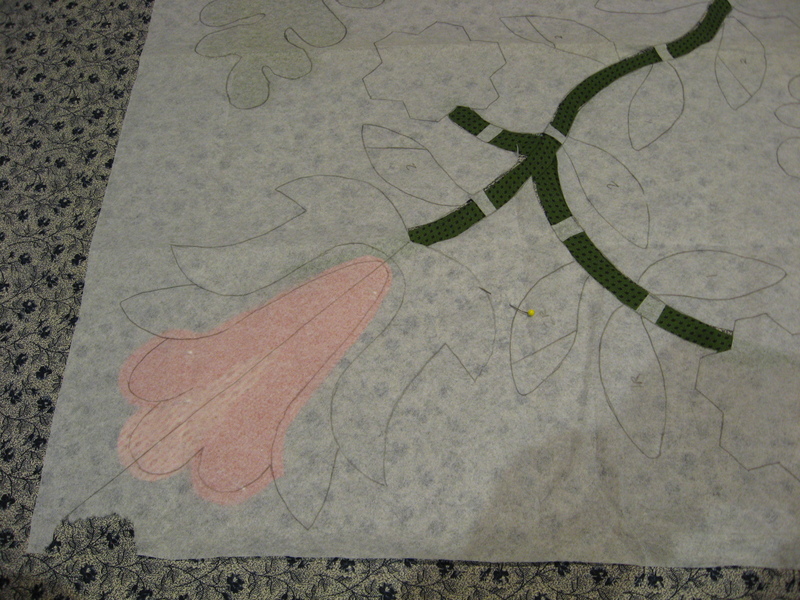 Corliss selected 2 sets, of 4 colours each, that will allow you to applique all the blocks in this quilt. 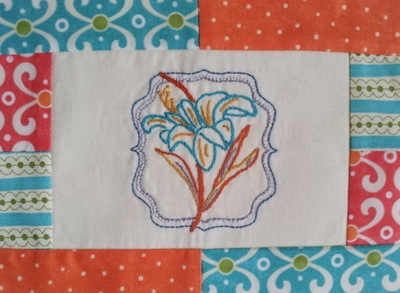 What a great way to get a quick start on your applique! Go to the Threadbear website to find out how to order a pattern and thread sets, or get more information about their Applique Society meetings.